An introduction to dance and music for every child focusing on body awareness and co­ordination. Our pre-school dance classes are a combination of tap, ballet, acro and creative movement, all in a fun and energetic 45 minute class. Pre-school dance classes take place once a week from September through to June where they will participate in the year end recital. For the first half of the year, our preschoolers will focus on the basics of ballet, tap and acro dance. Once January comes, we will begin our year end recital dance to be performed in June. We follow the Pre- ADAPT syllabus with our tap dance in our pre-school program and the Pre-School Acrobatic Arts syllabus with our Acro. Our pre-school classes are structured to follow 15 minutes each of tap, ballet and acro to make up this class time. 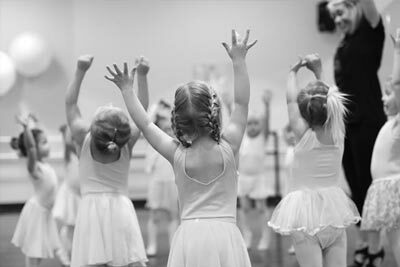 Pre-school dance classes are offered to our 3 and 4 year olds and are the first unparented, full year dance class that we offer at Prestige! It is such an exciting process introducing our little dancers to the world of dance and getting them ready for their very first dance recital! The year end recital is always a highlight of the year when the dancers growth and improvement is showcased on stage in such a special setting! In the winter, our recital costumes will be ordered and they will be received mid spring. The dress code for a Pre-school class for females is pink bodysuit, pink tights, pink skirt, black tap shoes and pink, leather ballet shoes. For males, our pre-school dress code includes a white t shirt, black pants/shorts, black ballet shoes and black tap shoes. We ask that any dancers attending a Pre-school dance class wear their hair in a ponytail or a bun in order to keep off their face.